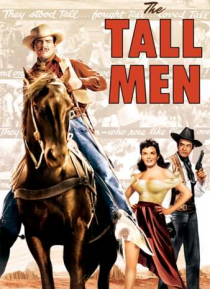 Ben (Clark Gable) and Clint (Cameron Mitchell) Allison have been hired to lead a herd of cattle from Texas to Montana. Before long, they see a tribe of Native Americans raiding a small pioneer village. The brothers save the spirited Nella Turner (Jane Russell) and romantic sparks immediately fly between Nella and Ben. However, Nella's desire for wealth puts a damper on their burgeoning relationshi… p. Meanwhile, the cattle drivers must make one last trip through unwelcoming native territories.